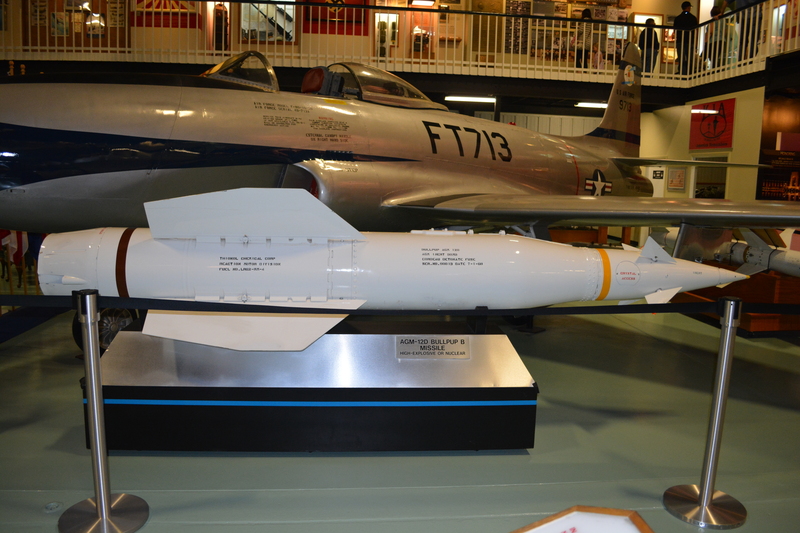 The Bullpup was the first successful guided tactical air-to-ground missile of the U.S. Navy and the USAF. Although it had severe limitations, it was produced in very large numbers. Development of the Bullpup was initiated by the U.S. Navy in 1953, when an operational requirement was issued for a short-range air-to-ground guided missile. The two primary goals were to give the ground-attack aircraft a standoff missile to avoid prolonged exposure to enemy groundfire, and to increase the chances of destroying targets which are hard to hit with free-fall bombs (like e.g. bridges). The design competition was won by Martin, and in April 1954, the company received the contract to develop and produce the new missile, designated ASM-N-7 Bullpup. It was a relatively small missile with a 113 kg (250 lb) warhead, which was optically tracked and manually guided by the pilot. The first successful air launch of an XASM-N-7 prototype occurred in June 1955, followed by YASM-N-7 evaluation models. In April 1959, the ASM-N-7 Bullpup production version entered U.S. Navy fleet service. The majority of the production missiles was built by Maxson Electronics.